Blockchain, or distributed ledger technology, is “an online database for the exchange of information that takes place on a digital network to form a secure, transparent, and easy-to-use platform.” Although blockchain is still in the early stages of development, tech enthusiasts are already highlighting its substantial potential to restructure industries, sectors, and enterprises, conceivably making them more productive and transparent. In a recent International Finance Corporation (IFC) working paper, Blockchain: Opportunities for Private Enterprises in Emerging Markets, authors Marina Niforos, Vijaya Ramachandran, and Thomas Rehermann explore how blockchain could play a role in the digital transformation of financial services and other industries. They also discuss how it could address some of the financial challenges facing emerging markets—including those in Africa. 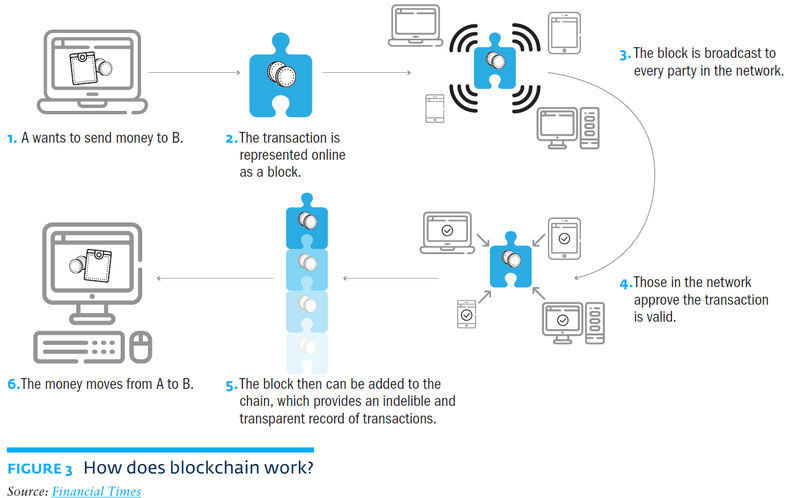 Figure 3 from the paper illustrates how a typical financial transaction occurs using blockchain, showing that a transaction is approved by a network—in a peer-to-peer system—and then added to a common chain, with shared access by members of the network. As a platform for validating transactions and storing data, blockchain has broad applications in financial services, asset registry, and digital security industries. Its most commonly recognized application is with cryptocurrencies, such as Bitcoin or Ethereum. As the paper notes, “Blockchain can serve as a registry, inventory system, and transaction platform for recording, tracking, monitoring, and transferring rights to different asset classes, including intellectual property, votes, digital identity, health data, and real estate.” Its distributed structure—in which all parties engaged in a transaction share access to its record—make it more transparent, audit-able, and consensus-based than traditional, centralized ledgers. Meanwhile, to ensure the privacy of sensitive data, cryptographic and/or data partitioning techniques can be used so that only select participants with the requisite authority can view the data. High levels of mobile penetration and a largely unbanked population suggest vast potential for the adoption of blockchain-based solutions over traditional payment services in Africa, the report argues. Moreover, in countries with high currency risk and capital controls, blockchain-based solutions that circumvent these transaction challenges could be appealing to individuals, households, and businesses. In several countries—notably, Kenya, Ghana, and South Africa—peer-to-peer payments with digital currencies using blockchain to provide global payments and remittance services are already gaining ground, and blockchain-based startups such as Kenya’s BitPesa and Bitsoko, Ghana’s bitcoin exchanges BTCGhana, and South Africa’s Luno and Ice3X, and GeoPay, BitSure, and Chankura are growing. Figure 10 in the report shows that Africa’s share of Bitcoin and blockchain deals have risen from a negligible share in 2013 to 4.5 percent in 2016, suggesting that Africa is becoming more prominent regional stakeholder in the blockchain innovation landscape. Still many challenges—technical and regulatory—face blockchain before it becomes a commonplace technology in financial services and other industries. Issues of security, privacy, scalability, interoperability, and governance, as well as the conditions under which blockchain-based solutions may be used are still unanswered questions. However, governments and regulatory agencies in Africa recognize the value of blockchain as an emerging technology and appear keen to continue studying it, the report states. For instance, South Africa is even promoting public-private collaboration to further develop the technology and learn more about its potential benefits.